Welcome to 2019! Nothing quite rings in the new year like hockey (shh, nobody asked you what you think, college football! ), and in case you haven’t heard, the Blackhawks and Bruins are headed to South Bend, Ind. for this year’s iteration of the Winter Classic. However, there’s far more than that tilt going down this week, so here’s all the fixtures for 2018’s finale and the first six days of 2019. If you enjoyed the 1988 and 1990 Stanley Cup Finals and rivalries are your jam, this week’s slate of games was made just for you. Both Boston and Edmonton squared off against two rivals this week, with the Oilers taking on Winnipeg on Monday and the Kings on Saturday and the Bruins playing Chicago and Buffalo on Tuesday and Saturday, respectively. Speaking of the Kings, their Tuesday tilt in Vegas was a rematch of the First Round from the most recent Stanley Cup playoffs – the only such tilt of the week. Finally, in the “Player Returns” department, W Dmitrij Jaskin takes the cake for the longest tenure with his former club, as he was claimed off waivers by the Capitals earlier this season after six campaigns with the Blues – Washington’s opponent on Thursday. In an attempt to avoid repeating teams too frequently, I turned my attention away from the Winter Classic (we all knew how it was going to go anyways) and the Flames and Sharks’ major showdown. Instead, let’s take in a pivotal game in the race for the Western Conference’s second wild card. To put things simply, life has been much better for the Oilers and their faithful fans. As recently as three weeks ago, Edmonton was in third place in the Pacific Division and looking like a real threat for the remainder of the season. However, that impressive 9-2-2 run that got them to that point is long forgotten now, as the 19-19-3 Oil enter tonight’s tilt on a disastrous 1-7-0 skid, accented by last night’s embarrassing 4-0 loss to lowly Los Angeles. Without a doubt, the worst aspect of Edmonton’s play over this eight-game run has been the play of its two goaltenders. 12-8-1 G Mikko Koskinen has received six of those starts, but his .869 save percentage and 4.45 GAA in those appearances (compared to a .915 season save percentage and corresponding 2.64 GAA) hardly reflect starters’ numbers. However, handing the reins over to 7-11-2 G Cam Talbot has rarely been the fix Head Coach Ken Hitchcock’s club has hoped for, as almost every time they’ve turned to him they’ve gotten the same old Talbot they’ve gotten all year. Boasting an .893 save percentage and 3.23 GAA for the season, Talbot has stayed true to his form for this campaign in his last four appearances since December 16, posting almost identical .888 and 3.25 marks in those outings. With both Koskinen and Talbot seeing action in yesterday’s tilt in Tinseltown, it remains unclear which will earn the nod this evening. Koskinen did start against the Kings, but he only logged 13:57 of action before getting pulled due to allowing three goals on eight shots (.625 save percentage). Conversely, though Talbot saw more TOI, his 14-for-15 performance (.933 save percentage) in relief could earn him the opportunity to reclaim his starting job tonight. Though not the sole reason for the netminders’ struggles, part of their problems might be related to the Oil’s defensive play of late. Edmonton has allowed an average of 30.7 shots on goal per game this season, a mark that is good enough for 11th-best in the NHL. However, that mark has climbed ever so slightly to 31.75 shots per game in Edmonton’s games since December 16, the 14th-highest in the league in that stretch. If any are to blame for that defensive decline, it is surely not F Jujhar Khaira (3.8 hits per game since December 16), C Connor McDavid (10 takeaways in the last eight games) or D Darnell Nurse (1.5 blocks per game during this run), as all three lead the team in their respective statistics. There’s certainly still time for Edmonton to rediscover its winning groove, but the Oilers must make sure to stop the bleeding against Anaheim tonight, considering it is those very Ducks they’re trailing by four points for the Western Conference’s second wild card. Speaking of teams looking to get off the schneid, the 19-16-7 Anaheim Ducks also fit the bill considering their seven-game losing skid that has seen them earn only two of a possible 14 points. Since December 18 (the date of Anaheim’s 3-1 loss at Madison Square Garden, the first of these consecutive losses), no offense in the NHL has been as anemic as the Ducks’. The entire league has averaged 2.84 goals per game since that date, but Anaheim has ranked dead last with an uninspiring 1.57 goals per game. Unsurprisingly, no players have averaged a point per game or better during this losing skid – not even the usually reliable C Ryan Getzlaf (9-20-29 totals in 36 games played) or W Ondrej Kase (11-8-19 in 24 appearances). In fact, only eight of Anaheim’s 20 skaters have registered more than a lone point in the Ducks’ last seven games – an alarmingly low number, especially for a team without a dominant top line of the likes of Boston, Colorado or Dallas. Of course, it’s not as if Anaheim’s offense has exactly lit up the scoreboard this season. At this point in the campaign, the Ducks have averaged 2.4 goals per game for 2018-19, a mark that ranks second-worst ahead of only their crosstown rivals’ 2.26. However, dropping almost three-quarters of a goal per game is far more noticeable for a team lacking in offensive firepower than it is for a club like Tampa Bay that has averaged over four goals per game for the entire season. The Bolts can spare a goal here or there – the Ducks most certainly cannot. And so, that brings us to our usual question: how does all this factor into tonight’s game? This evening’s tilt features weak goaltending squaring off against a lackluster offense, and – by virtue of an NHL game being unable to end in a tie – one of them must win. Usually I would favor the offense in that matchup, but Anaheim’s attack has been so awful I simply can’t bare to do it. Similarly, I think the Oilers will be fired up to score some goals this evening considering they got blanked by the *former* worst team in the league less than 24 hours ago. Edmonton should come away with two points tonight and pull within two points (not to mention its game in hand on Anaheim) of a playoff spot. It’s time once again for DtFR’s weekly featured matchup! Let’s take a gander at the NHL’s offerings for this edition, shall we? This week’s rivalries included the Battle of the QEW (Toronto at Buffalo), Ottawa at Montréal, Detroit at Toronto, the Islanders at Pittsburgh, Montréal at Ottawa, Toronto at Boston, Montréal at Chicago and the Battle of Alberta (Calgary at Edmonton). In a similar strain, there were also more than a few rematches of playoff fixtures from last spring. Tampa Bay continued its beat down of New Jersey on Monday, while Vegas exacted some revenge against Washington on Tuesday. The Bolts then headed home to host Boston on Wednesday, winning 3-2. Vegas is heading to Los Angeles this afternoon looking for its fifth-straight victory against the Kings, followed by tonight’s tilt between the Capitals and Blue Jackets. Finally, in the “player returns” department, only two really stuck out among this week’s tilts. Now a member of the Avalanche, D Ian Cole made his first trip back to Pittsburgh Tuesday to take on the club he was a member of for the past four seasons. Then, Wednesday night, C Kyle Brodziak made his first return to St. Louis as a member of a visiting team, having spent three seasons with the Blues. Of all those, the one I’m most interested in is the Battle of Alberta, so pack your coat and start heading to the City of Champions! Don’t everyone look all at once (it’ll make the team self-conscious), but with last night’s 5-2 win over Nashville, the 19-9-2 Calgary Flames have claimed a one-point lead for first place in the Western Conference. Not the Pacific Division, mind you. The Flames have been running that show for about a month now. We’re talking about the entire conference. I guess Head Coach Bill Peters knows a bit more than we give him credit for around here. A major reason Calgary is in the position it’s in right now is due to the impressive 9-1-1 record it’s riding right now – a stretch that started with a 4-2 victory over the Oilers on November 17. A solid argument could be made that no team in the NHL has been better than the Flames in the past three weeks, as they are among the top-three in the league in goals per game, goals against per game and shots against per game. Starting with the offense (a stat in which Calgary ranks sixth on the entire season, averaging 3.47 goals per game), the Flames have been the class of the conference since November 17, as their 4.45 goals per game in their past 11 outings tops the West and ranks second in the NHL, trailing only Tampa Bay’s 4.58 goals per game. Leading the charge with 6-14-20 totals in those 11 games is exactly who you expected: LW Johnny Gaudreau. Only RW Nikita Kucherov (5-18-23) has registered more points in the past 22 days than Johnny HockeyTM , but he’s also had the benefit of one extra game played. But don’t think Gaudreau has been doing it all on his own. C Sean Monahan (9-7-16), F Elias Lindholm (7-8-15), LW Matthew Tkachuk (4-8-12), suspended D Mark Giordano (1-10-11 in 10 games played) and even fourth-liner C Alan Quine (he scored a goal in his season debut last night) are all averaging a point per game or better over this run. Defense has been a major strength of Calgary’s all season long (the Flames’ 28 shots against per game for the entire campaign ranks third-best in the NHL), and the same can be said for the Flames’ last 11 games. Led by D Rasmus Andersson and D Travis Hamonic (both averaging 1.5 blocks per game since November 17), RW Garnet Hathaway (2.6 hits per game in the past 22 days) and Monahan (his 16 takeaways in the past 11 games lead the club), the Flames have allowed only 27.18 shots against per game since November 17- the third-lowest mark in both the Western Conference and NHL in that time. While Peters might say he appreciates that solid defensive play, no one is happier for the Flames’ success than 11-7-1 G Mike Smith. And even though the blue line is making his job easy, Smith is putting together one of the best runs of his season so far – especially in light of his season stats. On the campaign as a whole, Smith boasts a lowly .894 save percentage and 2.88 GAA – both stats considerably worse than backup 8-2-1 G David Rittich’s .919 and 2.39, to the point that there were more than a few calling for the Czech to assume starting duties. However, Smith’s past six appearances have been reminiscent of his incredible 2011-12 season with the Coyotes (he posted a .93 save percentage and 2.21 GAA and led the team to the Western Final), as he’s won six-straight games with a dominant .936 save percentage and 1.59 GAA in those showings. Having been in net for last night’s home win over Nashville, Smith will likely ride the pine this evening with Rittich getting the start. Though the 15-12-2 Edmonton Oilers currently sit in 10th place in the Western Conference, they only trail the second wild card Vegas Golden Knights by a point (with two games in hand, no less), so it is possible for tonight’s hosts to force themselves into the playoff picture with as little as an overtime or shootout loss. Wait, I thought the Oilers were back to being bad again. I’m so confused. Sometimes a change of voice from behind the bench is exactly what a team needs to get in shape, because the Oilers have been playing some solid hockey since hiring Head Coach Ken Hitchcock on November 20. Before Hitchcock arrived in Northern Alberta, the Oil boasted a record of 9-10-1, but they’ve gone on a solid 6-2-1 record since then to position themselves right on the playoffs’ doorstep. Considering Hitchcock’s history, it wasn’t unexpected that his first goal upon taking over Edmonton was teaching his club how to play defense. Instead, the bigger surprise is that the team – one rarely known for its defensive play for its entire history – actually responded and is finding success. Under Hitchcock, the Oilers have allowed only 29.11 shots against per game, the seventh-best mark in the NHL since November 20. Injured F Drake Caggiula (averaging 4.3 hits per game during this run), D Oscar Klefbom (averaging 2.6 blocks per game in the last 20 days) and C Connor McDavid (his 12 takeaways in his last eight appearances pace the team) have all been integral in leading this strategic shift, and the results are clearly showing in the standings. Both G Mikko Koskinen and G Cam Talbot have shown considerable improvement playing behind this revamped defense, but Koskinen seems to have gained Hitchcock’s favor as the Oilers’ starting goaltender – at least for the time being. Though he has managed a decent .925 save percentage and 2.23 GAA for the entire season, Koskinen has posted a solid .934 save percentage and 1.82 GAA in his last six starts and will get the nod tonight. For those wondering, Talbot’s .895 save percentage and 3.12 GAA for the season have been steadily improving under Hitch as well, as he’s managed a .925 save percentage and 2.29 GAA in his last three starts. So, it’s time for that priceless question: who wins tonight? With both defenses playing as well as they are right now, my immediate reaction is to pick the team with the superior offense. As that is not the style Hitchcock is having the Oilers play, that leads me to lean towards Calgary earning two points despite playing yesterday and having to travel last night/this morning. However, with so much for Edmonton to play for and the fact that this is one of the better rivalries in the league, the only thing we can truly predict is unpredictability! Sure, both leagues have seen their share of confusion over their goal line judgment calls. The NHL is averaging about one goalie interference call a night, while the NFL couldn’t get through one of the greatest Super Bowls ever without the TV broadcast’s color commentator — a three-time Pro Bowl wide receiver, no less — twice misinterpreting the catch rule and opining incorrectly that the officials would overturn touchdown receptions. But the guess here is that Joe Maddon might call it a Chicago soda tax situation. Last October, the manager and his then-defending world champion Cubs were in Game 1 of the NLCS against the Los Angeles Dodgers. On a replay review in the seventh inning of a 5-2 loss, Cubs catcher Willson Contreras — perhaps drawn toward the baseline to receive the throw home — was called for illegally blocking the plate, handing the Dodgers a run after it was originally ruled the baserunner had been thrown out. The problem with the NHL rule — like all the others — is that it is either too vague or too inconsistently called, or both. While it is important to protect goaltenders from getting run over, ambiguity is built into the interference rule, which contains subjective terms such as “incidental contact” and “reasonable effort.” And speaking of interpretation, the review process for interference challenges invites inconsistency. In such instances, the on-ice referee, while watching a variety of replays on a tablet and speaking to the NHL’s Toronto-based hockey operations department over a headset, is charged with making the ruling. Blues goalie Jake Allen was ridden out of the crease by two Bruins before David Krejci tapped in a rebound for the first goal in a 3-1 Boston win. Vegas posted a 3-2 overtime win in Winnipeg partly because the Golden Knights’ Erik Haula scored after James Neal broke his stick against goalie Connor Hellebuyck’s helmet. Yet, lest you think it’s open season on goalies, exactly one week earlier, a would-be rebound goal for an Edmonton overtime game-winner was waved off after young superstar Connor McDavid’s skate briefly snagged Calgary goalie David Rittich’s stick as he passed through the crease following the shot that started the sequence. The inconsistency is maddening for players and fans alike. Meanwhile, NHL commissioner Gary Bettman has seemed inclined to change little about the rule or its enforcement, except to encourage the officials to decide faster. Players, though, will always search for an edge. Author bio: AJ Lee is Marketing Coordinator for Pro Stock Hockey, an online resource for pro stock hockey gear. He was born and raised in the southwest suburbs of Chicago, and has been a huge Blackhawks fan his entire life. AJ picked up his first hockey stick at age 3, and hasn’t put it down yet. Yeah, I know, it hurts me to do it. But eight points in three games is a tough stat line to argue against. *leans away from microphone looking off to stage right* THAT’LL BE ENOUGH OUT OF YOU, @nlanciani53! WE KNOW HE’S GOOD, WE JUST REALLY HATE HIS FACE! Anyway, here’s how the ‘Little Ball of Hate’ earned the nod for the week. Marchand started the week by single-handedly ruining the Detroit Red Wings on Tuesday, racking up three goals and two assists (one of each on the power play) for a five-point night, and tacked on the game-winner for good measure. Then on Thursday he notched a single goal against Philadelphia, with it also being the game-winning tally. Then he capped the week with a pair of ‘apples’ on Saturday to finish off the week with a 50/50 split of four goals and four assists. Also he possibly tried to murder Anthony Duclair maybe. The Oilers have suddenly remembered how to hockey. It’s a bit late, but hey, good on ’em. Talbot has, like basically everyone in Edmonton not wearing #97, had a bit of a forgettable year. Currently carrying a .906 save percentage and 3.03 GAA, but sporting a near-.500 record, Talbot’s stats are basically a microcosm of the year the Oilers are having. In fact, his three-straight wins this week directly followed three-straight losses. But for now we’re focusing on those three wins, as I’m sure all of Edmonton would like to do. Talbot carries a .949 and 1.61 out of the week with him, stopping 94-of-99 shots faced. He did start the week with three goals against on Monday when Arizona visited Rogers Place, but still managed a .914 save percentage on 35 shots. After that he basically completely shut down both the Islanders on Thursday (one goal on 31 shots) and Wild on Saturday (one goal on 33 shots). It’s definitely a case of too little too late in Edmonton, but a strong finish to the season could give the team, organization, and fans a much-needed morale boost heading into the offseason. If you like hockey games that have a little bit of everything, go watch the condensed game highlights of this one. Nine goals on 82 shots, 56 hits (evenly split at 28 per team), a fight, a hat trick, and a beautiful overtime winner in a tilt between two in-state rivals. Definitely a candidate for game of the year. You’d have never guessed there would be nine goals scored if you just watched the first half of the first period. Both Andrei Vasilevskiy and Roberto Luongo were fully on their game, and both goaltenders made multiple standout saves just in the opening minutes alone. In particular, Vasi’s early denial of Nick Bjugstad on a two-on-one and Luongo’s breakaway glove snag on J.T. Miller stand out. Also early in the first period we had a scrap between the Lightning’s Braydon Coburn, who is 6’5″ and 223 lbs., and Michael Haley, who is neither of those things. Haley, the NHL’s penalty minutes leader this season, more than held his own in a fairly uneventful scrap, but it certainly got the crowd at Amalie Arena into the game. Finally first blood would be drawn at the 10:38 mark, when Yanni Gourde would pounce on an off-the-glass rebound at the side of the net before Luongo could locate the puck and put the Lightning on top. Vasilevskiy would make a pair of outstanding stops on consecutive shots from Aaron Ekblad and Aleksander Barkov to keep the score 1-0, eventually allowing Miller to take a Gourde centering pass from behind the goal line and roof a backhand over the glove of Luongo to extend the Tampa lead to 2-0 at the 12:51 mark. Although being outshot 15-8, the Lightning would nearly survive the first with their lead unblemished, but with just 1:37 to play it would be Bjugstad firing one from the goal line to Vasilevskiy’s left that ricocheted off the goaltender’s shoulder and into the net behind him, sending the two teams to the locker rooms with the score at 2-1. The second period would see a much faster start, as once again Yanni Gourde (recording his third point in three Tampa goals) put his entire heart and soul into a turnaround wrist shot from the right circle that beat Luongo high glove and put his Lightning up 3-1 just 1:27 into the second. A good chunk of the second would pass rather uneventfully (sans a great save by Luongo on Nikita Kucherov) before Bjugstand would walk out from the corner with Steven Stamkos all over him, drive to the crease and bang home his own rebound to bring the Panthers within one again at the 13:35 mark. But less than three minutes later the lead would stretch again as Alex Killorn picked up a juicy rebound off of a Stamkos one-timer and send the game to its final intermission with a 4-2 score in favor of the home team. The two-goal lead would last just 21 seconds into the third period, as Bjugstad would bury his third of the game to cut the deficit in half. After an Andrej Sustr tripping penalty a few minutes later, Vincent Trocheck would finally knot the score with a power play wrister from the right circle, beating Vasilevskiy just between the glove and left pad. 4-4 would remain the score through the end of regulation, despite the best efforts of the Panthers who would total 16 third period shots to Tampa’s 11, though a tipped Sustr point shot finding Luongo’s left goal post was probably the closest call of the rest of the third. But, alas, off to overtime we’d go. A fairly tame start to OT would give way to serious offensive zone pressure by Tampa right around the midway point of the frame. Anton Stralman nearly ended things with a one-timer fired at a gaping net, but it would hit the outside of the post and be collected in the corner by Tyler Johnson. Johnson would give it back to Stralman, who saw an open Brayden Point (waving every available limb and utensil frantically) waiting just inside the right circle. Point would receive the pass, absolutely dance a charging Evgeny Dadonov out of his skates, then roof a laserbeam over the glove of Luongo to rid Amalie Arena of its roof and send the Bolts faithful home happy. The Carolina Hurricanes are accepting job applications for their next General Manager via Twitter. Obviously we here at DTFR are biased, but I think we’d all gladly throw our hats in the ring for our own @capncornelius to get the gig. Sidney Crosby reached 1,100 career points, which seems like a slightly obscure number to celebrate. But congrats, I guess. …this was a slow news week…umm, hey @connorzkeith, can you throw in some sort of funny cat photo or something for filler in the edit? Thanks, buddy. In four games, the 19-year-old centerman put up four goals (one in each game) and three assists for seven points, and is currently riding a five-game point streak overall. A +8 through the first three games was marred slightly by a -2 in the final game of the week, but any coach would gladly take a +6 week for any of his players. Perhaps the best stat in all of this, though, is Hischier’s shooting percentage throughout the four-game goal streak. In those four games, Hischier has only fired seven total shots at the net, leaving him with a ridiculous .57 shooting percentage. With 39 points in 59 games, the league’s most recent first-overall pick is having himself a very solid year. With his Devils entrenched in the knock-down, drag-out dogfight that is the Metropolitan playoff race, he’ll need to continue his strong play to help New Jersey go from the basement to the playoffs. The Arizona Coyotes have won four consecutive games. This is not a drill. For the first time since January of 2016, the ‘Yotes have strung together four straight, and Raanta is arguably the entire reason for it. In three starts and one relief appearance throughout the week, Raanta managed to string together a 3-0-0 record with a .976 save percentage and 0.91 GAA. The Finnish netminder started the week stopping 37-of-38 against Chicago, before stopping all 12 shots he faced against San Jose, turned aside 34-of-36 attempts by Montreal, and capped the week with a 40-save blanking of Edmonton. Obviously Arizona is in no position to even entertain the idea of a playoff run, but they can at least have some confidence in the performance of Raanta this year. He currently holds a .924 save percentage and 2.45 GAA on the season, and is two wins under .500 on a very bad team. Who would have guessed that two bitter rivals fighting for position in the division standings would produce a fun game? 71 shots and 51 hits in a game that saw no major penalties looks a lot like a playoff stat line. Just good, hard hockey. Things would get rolling shortly into the opening frame, as Claude Giroux fed a speeding Travis Konecny with a beautiful backhand stretch pass, allowing Konecny to steam past Will Butcher across the New Jersey blueline before firing a beautiful wrister past the blocker of Keith Kinkaid and putting the Flyers up 1-0 just 1:54 into the game. The rest of the first and first few minutes of the second would pass scoreless, due in part to solid netminding, and arguably moreso to a symphony of goalposts. But 4:06 into the second the Devils finally knotted the scored, as Taylor Hall streaked down the left wing side and found just enough daylight between Michal Neuvirth and the post to squeak in the 1-1 tally. Hall would get absolutely buried by Radko Gudas just as the puck was finding its way into the net, but the hit was clean and Hall shoo’d away the tweetie birds in short order and looked none the worse for wear. Just 43 seconds later the Flyers would reestablish their lead as Michael Raffl took an indirect pass off the end boards from Andrew MacDonald and fed a turnaround pass to Scott Laughton in the slot, who managed to get just enough of it to get it past the pad of Kinkaid and across the goal line. Then about six minutes later a Radko Gudas point shot would redirect off of a New Jersey stick past Kinkaid to put the Flyers up 3-1, before John Moore would answer at the 13:17 mark with a bomb from the point that blurred past the glove of Neuvirth and drew the Devils back within one. Just under three minutes later it would be Philly captain Claude Giroux firing home a power-play goal from the left circle, but just 10 seconds later Nico Hischier would again cut the lead to one heading into the third. Neuvirth and co. held the fort for nearly the entire third period, but a jam play in front would create a loose puck for a circling Taylor Hall who would pounce and send the game to overtime. The extra frame saw a pair of dazzling glove stops (Neuvirth on Hall just seconds in, and Kinkaid on a Voracek redirect with just over a minute remaining), but no more pucks would find twine until Drew Stafford continued his shootout mastery in the second round of the skills competition, and a Kinkaid stop on Voracek would end the game and give the Devils the victory. Four ‘Blackhawks fans’ (I use the term loosely, as no one I’ve ever encountered that roots for the Hawks deserves to be lumped in with these lowlifes) were booted from the arena and later issued a permanent ban by the organization for shouting racial taunts at Capitals forward Devante Smith-Pelly as he was serving a penalty. Personally, I think they should have been invited into the penalty box with DSP as part of their punishment, but that’s just my opinion. Speaking of the Blackhawks and Capitals, the two teams made a deal that sees defenseman Michal Kempny head to D.C., while a third round pick finds its way back to the Windy City, likely to be turned into a superstar player because Stan Bowman is a wizard. Also on the trade front are rumors of Petr Mrazek being dealt to Philadelphia, who are currently relying upon third-stringer Alex Lyon after injuries to Brian Elliott and Michal Neuvirth. As someone who owned Mrazek on their fantasy team at one point this season, I feel I am qualified to ask the Flyers why in the name of all that is holy they would want to do such a thing. Editor’s note: Pete’s crystal ball was on point Monday night. Mrazek was shipped to Philadelphia in return for two draft picks: a conditional fourth-round pick in 2018 and a conditional third-round pick in 2019. Detroit retained half of the goaltender’s salary. Read our recap here. Nick Foligno is out for what looks to be a couple of weeks, and I’m not crying, you’re crying. The Olympic men’s hockey tournament has been even weirder than we could have predicted, but after an early hiccup it looks like the Artists Formerly Known as Russia are set to steamroll everything in their path just as it appeared they should on paper. Barry Trotz became just the fifth coach in league history to coach 1,500 games. Don’t let his ‘angry Russian mob boss’ looks fool you, Trotz is one of the nicest humans I’ve ever had the pleasure to meet, and I’d like to extend a sincere congratulations to him. Dion Phaneuf and Marian Gaborik changed places, in a move that would have been landscape-shifting in the NHL in about 2008. Phaneuf did score in his first game as a King, because the hockey gods are just having all sorts of fun at Ottawa’s expense this year. It’s looking more and more likely (depending on who you ask, anyway) that we could see Erik Karlsson dealt at the deadline. I’m not sure what sort of return that would yield, but considering some believe Jack Johnson is worth a first round pick, I’d have to assume that the Sens would legally own the first-born child of the other involved GM. It feels sort of wrong that he hadn’t won this until now. Just doesn’t seem possible, right? Likely a byproduct of the abysmal season Edmonton is having, McDavid has been enjoying a solid if less-than-stellar season (he’s still put up 64 points in 54 games, we’re just talking about the arguable best player in the world) and hadn’t made this esteemed list until now. But with eight points in four games this week (including a four-goal, five-point performance against the almighty Lightning), Edmonton’s lord and savior has claimed the throne. McDavid saw a five-game point scoring streak (seven goals, 11 points) come to an end in Edmonton’s final game of the week, but managed to put up eight points in the week’s three prior contests, so he definitely is worthy of the nod. In a week of slim standout goaltending performances (apart from Andrei Vasilevskiy making what might actually be the greatest save in the history of hockey), Dubnyk’s 2-0-1 record manages to stand out, particularly paired with his .950 save percentage and 1.96 GAA. Apart from giving up four goals in the overtime loss to Arizona (which came on 40 shots, allowing Dubnyk to still manage a .900 save percentage), Dubnyk backstopped two victories over division rivals to cap a stellar week, turning aside 35-of-37 shots faced against St. Louis, and posting a 44-save blanking of Chicago. The lanky Saskatchawinian (I have no idea if that’s a real word, but it was fun to say) hasn’t quite matched his ridiculous numbers from last season to this point, but he’s still been more than solid and has the Wild poised for another playoff run. Someone pick up the damn phone, the 1980s are calling. This was one of those games that just made you laugh, because nothing about it made any sense. Three goaltenders played in the game, none of them posting a save percentage higher than .857 (Petr Mrazek had a frankly disturbing .759 and played for the team that DIDN’T switch goaltenders). Nine, count them, nine skaters had multi-point games, including a hat trick for Brock Nelson, a four-point outing for Henrik Zetterberg, and Mathew Barzal‘s five-assist performance making him the first rookie in 100 years to post three five-point games in a season. But perhaps the zaniest stat of all was the way the goals were posted. Detroit was all over the Isles early, dominating the first period and taking a 3-0 lead into the locker room. New York could only answer one time in the second period, before drawing to within one early in the third, only to have the Wings score twice more in a 2:12 span to regain a three-goal lead. But with about six minutes to play, Tyler Bertuzzi would attempt to chop off the leg of Cal Clutterbuck, giving the Islanders a five-minute major power play opportunity. An opportunity they would capitalize upon thoroughly. Brock Nelson. 5-3. Anders Lee. 5-4. Nick Leddy. Tie game. Josh Bailey. The Isles now somehow lead this game 6-5 with 1:49 to play after scoring four times on a single power play. Who could have predicted this? Who could even believe this? Who is writing the script for this movie? Who’s got Mike Green in the slot? Oh, nobody does, and with 29 seconds to play the Red Wings complete the circus act to tie the game at six and force overtime. Nelson would complete his hat trick to finally end the chaos 3:15 into the extra frame, but if we’re honest, everyone who watched this game were the real winners*. *Except my father, who is still questioning how his team could score six goals and lose a hockey game. Sidney Crosby scored the 400th goal of his career on Sunday against the Blues. I can only speak positively of him for so long at any given time, so I’ll just end this right here. Lars Eller got himself a five-year, $17.5M extension with the Capitals, making him probably the highest-paid person in the world named Lars that doesn’t play drums. Alexandre Burrows decided not to appeal his 10-game suspension for being an absolute piece of…err…I mean kneeing Taylor Hall in the head…a lot. Personally, I was really hoping he would appeal the suspension, and the league would respond by making it an 11-game suspension, just because it’s Alex Burrows. Mark Scheifele is back off of IR, adding even more firepower to a Jets squad that might just screw around and grab a Presidents’ Trophy. The Rangers basically announced in a letter to their fans that they are dropping the franchise on a landmine and starting over, which is probably disheartening to the fanbase, but New York was only one point behind my Blue Jackets when the letter was published so, like, I’m definitely not thinking about that when I try to go to sleep or anything. Another two-week special, courtesy of a trip to the Rolex 24 at Daytona. Hey, so, you know that thing the Penguins do where they trick everyone into thinking they’re not very good and then right around February they just start crapping in everyone’s Wheaties? Yeah, keep those cereal boxes sealed. The Pens are 4-1-0 in five games over this two-week span, and Geno is a major reason why. With eight goals and 11 points over the five contests, Malkin leads the league by two points in overall scoring in that span, and teammate Phil Kessel is the one trailing him. Possibly even more impressive is the fact that in the first game of the five, he was held scoreless, so he’s actually put up those numbers across just four contests. Throw in three power play tallies, a game-winner, and a cartoonish .40 shooting percentage, and it’s not hard to see why Malkin gets the nod here. I’m honestly very glad I checked the stats page on this, because I was jotting down Tuukka Rask‘s name when I saw he had actually been bested. Hutton continues an absolutely ridiculous run this season with a perfect 4-0-0 record and seemingly-impossible advanced stats with a .984 save percentage and 0.50 GAA over the past two weeks. He’s given up two goals on 123 shots, and I literally cannot even come up with anything witty for that. The 32-year old career journeyman now boasts a 14-4-1 record on the season with a .947 save percentage and 1.61 GAA. When the Blues traded Brian Elliott, it was because they felt they now possessed a true #1 goaltender for the future. But I’m pretty sure Hutton was not the name they were thinking of at the time. The empire has fallen. Behold a god that bleeds. Rick Nash has submitted his list of teams that he would not accept a trade to upon the Rangers’ request. The former Rocket Richard winner is now in his mid-30s and has seen his production dip signficantly, though some think a change of scenery could reinvigorate his career. The popular narrative is that he returns to Columbus, but I think I speak for most intelligent CBJ fans when I say ‘Dear god please no’. Jaromir Jagr retired from the NHL and returned to his native Czech Republic to continue his career back home. There were many touching sendoffs from around the NHL, but I’m honestly not sure why considering he’ll just come back in about three years and be a productive player for a few more teams. Filip Forsberg was suspended for three games following a very illegal hit, a decision that has apparently shocked and upset his teammates. Now I will definitely say the Department of Player Safety has been less than stellar with some decisions this year, and I am certainly of the opinion that good clean hits cause far too much hooplah anymore, but I don’t know how anyone can defend a hit as late and dirty as this one. Rookie sensation Charlie McAvoy made his triumphant return to the Bruins lineup just 12 days after undergoing a procedure on his heart to treat an abnormal rhythm. I’m not a doctor, but that sounds like a pretty heroic comeback effort to me after literally having the thing that keeps you alive fixed. Radko Gudas is back at the center of controversy, because of course he is. The oft-suspended Flyers defenseman made airborne contact with Kyle Palmieri after attempting to avoid leg-on-leg contact with teammate Wayne Simmonds by leaping out of the way, only to be met by a backchecking Palmieri. I am actually of the belief that this was truly an accident, but Gudas’ history probably doesn’t help his case. No one knows what goaltender interference actually is anymore, so everybody get your licks in on that guy who always stones you on breakaways while you can. You may not (probably don’t) like him, but the Little Ball of Hate doesn’t give a damn about what you like. He’s gonna score on your team, and you’re gonna deal with it. The league’s premiere super-pest tallied two goals and five assists in four contests this week, made arguably more impressive by the fact that he started the week being held scoreless against Dallas before recording three consecutive multi-point games to close the week. Burning arch-rival Montreal for a goal and assist in the first meeting, then adding two helpers in the rematch, together with a three-point night against the Islanders, the former unheralded third round pick continues to prove all the critics wrong, as he’s currently on pace to shatter his breakout 85-point performance from last season. Marchand’s 48 points in 37 games is good for 16th in league scoring, having played no less than seven-fewer games than any player ahead of him, and his performance over the last seven days is good for this award. Yeah, I know, right? I couldn’t believe it either. Bernier’s NHL career has been a well-documented roller coaster of epic proportions, and the former 11th-overall pick has often seen the ‘Bust’ label floating near his name. But he seems to have really found a home with the upstart Avs this season. In three starts this week, Bernier faced a ridiculous 110 shots and turned aside 105 of them to pick up three victories. On Monday he stopped 33-of-34 to down the Ducks, on Saturday he stifled 27-of-28 against the Rangers, and even when he gave up three to the Sharks, he managed a .938 save percentage on 48 shots faced. Of the Avs’ strengths, the defense is not high on the list. Bernier is still shaking off some shaky performances earlier in the year, but in 21 appearances his 13-7-1 record, 2.61 GAA and .919 save percentage are more than respectable behind the run-and-gun Avs. If he continues this sort of play, the Avs could potentially use Semyon Varlamov as trade bait to solidify their D-corps come the deadline. A showdown between the top 2 teams in the stacked Metropolitan Division lived up to the hype, delivering seven goals, 51 shots, 48 hits, and 36 penalty minutes. Drew Stafford would get things rolling 8:01 into the game, taking advantage of a misplay at the blueline by Dmitry Orlov to flee the zone and receive a breakout pass courtesy of Marcus Johansson, fighting off the back-checking Devante Smith-Pelly and going forehand-backhand-roof on Braden Holtby to give the Devils the early lead. Brett Connolly, who was stifled on a golden opportunity just seconds after the Stafford goal, would get his revenge and even the score at the 12:10 mark, pouncing on a long wrister from T.J. Oshie that deflected off of the skate of Jersey d-man Will Butcher right to his tape and burying it past Keith Kinkaid to give us a 1-1 game after one. The second saw both the scoring and intensity ramp up, started off by Devils captain Andy Greene (playing in his 750th game) scoring on an almost-identical play to the Connolly goal, this time a Taylor Hall effort from the left point deflecting off the stick of Matt Niskanen and coming right to Greene who was just able to squeeze the shot between the left arm and torso of a sliding Holtby to regain the Jersey lead 3:33 into the frame. Then at the 8:33 mark came some shenanigans. Tom Wilson laid a hammering hit on Brian Gibbons along the boards in the neutral zone, leading Brian Boyle to come to the defense of his teammate and earn himself a misconduct and extra minor for instigating. I could go on a tangent about clean hits leading to fights (Gibbons himself appeared to try to wave off Boyle as he approached Wilson), but I’ll save that for another day. Further into the secnd we go, and the Devils capitalize (see what I did there?) on another breakout pass, this time with Miles Wood sneaking behind the Washington defense and receiving some airmail from Sami Vatanen before getting one through five-hole of Holtby to give New Jersey the 3-1 edge at the 10:55 mark. But just 14 seconds later Dmitry Orlov would collect a long rebound off the boards and spanked the ‘Made In Slovakia’ lettering right off of the puck as it screamed past Kinkaid into the back of the net, sending us into the final frame with a 3-2 Devils lead after some strong netminding by Holtby in the closing stages of the middle frame. Kinkaid and the Devils would hold the fort for most of the third, but finally with just 3:48 remaining it would be Connolly (who had himself a very good game, I might add) who collected a terrific Evgeny Kuznetsov feed from below the goal line and slid the puck right underneath the left pad of Kinkaid to knot the score at three and send the game to overtime (though not before Kinkaid would shake off a ‘Nisk-cannon’ to the noggin that removed his mask in the dying seconds). The crowd at ‘The Rock’ would have little to fret over, though, as just 34 seconds into the extra frame it would be Taylor Hall receiving a chip pass from Sami Vatanen, before giving himself a second chip pass to get around Kuznetsov and streaking in on Holtby, roofing a quick wrister over the glove hand and sending the Jersey-faithful into a frenzy. The Golden Knights are, at the time of this writing, the #1 team in the NHL. I don’t actually have anything clever prepared for this, I just wanted to say it out loud. A couple of high-profile injuries struck this week, with Edmonton losing Ryan Nugent-Hopkins to a hand injury for at least a month, and the Rangers losing Kevin Shattenkirk to a meniscus tear, an injury that could sideline the defenseman for quite some time. The Senators have supposedly made it their #1 organizational goal to re-sign Erik Karlsson. I’m not sure how much money it will take to keep him with a franchise that doesn’t appear to be set up for major success any time soon, but if anyone has any suggestions for convoluted schemes to marry into his family, I’m all ears. The Colorado Avalanche have won nine consecutive games, which might be the only thing less people would have bet on at the beginning of the year than Vegas spending time at #1 in the league. Rene Rancourt has announced that he will retire from his position as the Bruins’ longtime anthem singer. Personally, I never actually thought he was that good of a singer, but his showmanship has always been absolutely second-to-none, and anyone legendary enough to be referenced in a Dropkick Murphy’s song gets a pass in my book, so congrats to Rene on an incredible career and best of luck in retirement. Finally, I’ll close on two sombering notes. First, I extend my sincerest condolences to Matthew Murray and his family, as the Pittsburgh goaltender has taken a leave of absence from the team to mourn the passing of his father, and I’ll repeat the sentiment to the family of USA Hockey executive and two-time Olympian Jim Johannson, who passed Sunday morning at just 53 years of age. These bye-weeks are making things weird. Barzal gets the nod for this week’s award having only played one game during that span. But what a game it was. 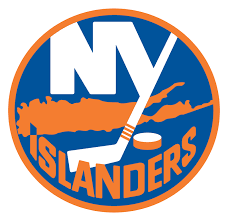 Helping his Islanders to a 7-2 rout of the rival Rangers, young Barzal tallied his second five-point game of his breakout rookie campaign with two goals and three helpers. Perhaps more amazing is the fact that all five points were scored at even-strength, no power play help needed. This also landed Barzal a perfect +5 rating for the night, to go along with a .5 shooting percentage and even tallying the official game-winning goal (probably not worth much in a rout, but it pads the stats all the same). With 44 points in 44 games to this point in the season, Barzal continues to make a very strong case for a Calder Trophy nod come season’s end. Smith started the week stopping 33-of-35 shots faced in an overtime victory against the Wild, before nullifying 33-of-34 against the league-leading Lightning and 38-of-39 against Carolina to extend his winning streak to six games. Calgary went out and got Smith to fill the one glaring weakness they felt they had, and if he can keep this level of play up, they could be deadly. The 739th all-time meeting between the Original Six arch-rivals had a little something extra to offer, as it was the first meeting of the two squads since Claude Julien‘s firing from Boston and hiring by Montreal late last season. A little bit of extra hype that this tilt ended up living up to. In total this one saw seven goals, 62 shots, 77 hits, and two power play goals on five opportunities. Max Pacioretty would get things rolling just 3:22 into the game, collecting the rebound from a deflected Victor Mete point shot and stuffing it just inside the near post behind Tuukka Rask to give the Habs the early advantage. Most of the first period would then pass by with little affair until Brad Marchand would streak in on the back door and receive a gorgeous Patrice Bergeron centering feed from the far board and bury it top shelf to even the score at the 17:40 mark on the power play, and the two teams would carry the 1-1 score into the first intermission. The second period would see things really open up, starting with a Jake DeBrusk breakaway tally just 2:55 into the frame. Charlie McAvoy caught the Montreal defense standing still and fed a gorgeous tape-to-tape pass to a streaking DeBrusk who made no mistake en route to his 10th goal of the year. Just 2:50 later, though, Nic Deslauriers would pounce on a Zdeno Chara turnover at center ice and streak past the stumbling Boston captain into the high slot, where he would unleash a laser of a wrist shot past the blocker of Tuukka Rask to draw his Habs back even. Then just 3:06 later Montreal would retake the lead on the power play, as Alex Galchenyuk would receive a cross-ice pass from Jonathan Drouin, take a couple strides towards the net, and absolutely smoke a wrist shot over the shoulder of Tuukka Rask into the top of the net to put his team up 3-2. The Bruins controlled a lot of the play throughout the rest of the 2nd, but were met with some solid Carey Price saves at every opportunity until at the 17:42 mark David Krejci was able to corral a bouncing puck in the slot and wire it past a surprised Price and even the game at three heading into the second intermission. The third period would see both teams register the most shots of any period (12 for Boston, 10 for Montreal), but strong play by both goaltenders (and a few clutch saves by the goalpost to the right of Rask) kept things knotted at three to end regulation and send the proceedings to three-on-three overtime. Montreal looked to have it won in the waning seconds when a Jakub Jerabek shot found it’s way up and over Rask, but a diving Torey Krug managed to bat the puck out of the blue paint before Pacioretty or Plekanec could get a stick on it. So off to the shootout we went. Both Paul Byron and Jake DeBrusk would score in the first frame, but after that the two goaltenders shut things down for the remaining two shooters a side to force shootout overtime, where Rask would shut the door on Galchenyuk to allow Brad Marchand to streak in and bury the game-winner right through the five hole of Carey Price and directly into the hearts of the Montreal faithful. I saved the Phillip Danault story from the Boston/Montreal game for this section, because it definitely deserves to be highlighted. Danault is reported to be doing alright and was released from the hospital Sunday after an overnight evaluation. The Habs forward took a Zdeno Chara slapshot off the side of the head in Saturday night’s contest, and was eventually stretchered off of the ice. A truly sombering scene in a very exciting contest, Chara was one of the first to Danault’s aid and appeared to apologize to him as he was loaded up and carried off the ice. Between this and the Girardi/Frk incident last week, I’m thinking maybe people should stop trying to block the hardest shots in the game with their faces. Speaking of near-disasters, Milan Lucic came millimeters from life-threatening danger himself when he tangled with Golden Knights forward Tomas Nosek and, upon the two falling to the ice, had his neck cut by Nosek’s skate. The picture of the stitch job is pretty unnerving, and according to Lucic the cut was mere millimeters too shallow to open up his jugular vein. One of the NHL’s most impressive streaks is coming to an end. After 830 consecutive games, Anaheim’s Andrew Cogliano will be forced to miss the next two contests after being suspended for a very-not legal hit on Kings forward Adrian Kempe. A very heated contest led to a lot of physicality, and the play was certainly very out of character for Cogliano, who sacrifices a streak that could have broken the NHL record next season had it continued. The Vegas Golden Knights have formed their first rivalry, but not exactly the sort you’d expect. The United States Army has filed a copyright challenge to the franchise on the grounds that they already possessed the rights to the name ‘Golden Knights’ for its West Point parachute jump team. The franchise’s response? A spectacularly sarcastic tweet, obviously. Jack Johnson has requested a trade out of Columbus. A pending UFA, it is generally believed that Johnson wants to be traded to a team where he will have a chance at seeing more playing time in an effort to raise his stock on the market, after seeing his minutes plummet in recent weeks. While many CBJ fans (myself included) hold ‘JMFJ’ in high regards as a person, trading the defender had become a very common topic in Columbus long before the player’s request, as his production has dipped significantly, highlighting his defensive shortcomings and bringing about the argument for his replacement by younger options within the CBJ system. Tampa has lost star defender Victor Hedman for 3-6 weeks with a lower body injury. I’m pretty sure if they lost every game in that time they would still be like 4th in the league, but still, it’s a bummer. Am I the only one who thinks these Olympic Games are actually gonna be pretty fun? As rosters get released, obviously the star power we’re used to isn’t there, but convince me that these lesser-known guys, most of them being players who probably never even dreamed they’d get this chance, aren’t going to play their absolute hearts out every single second of every single game. I think it’s gonna be great. On a final note, we learned this week via Doc Emrick that Pierre McGuire has undergone successful surgery to remove a cancer-infected prostate. He is recovering and is hopeful to rejoin the broadcast team in time for the Olympics. Now I, like many, can admit to yelling at Pierre to stop yapping on about whatever ridiculous stat or story he knows about some third-line player on a team I don’t like, but I think I speak for everyone when I say that cancer should take a Chara slapshot to the mush and a few skates to its main artery. So get well, Pierre, Eddy-O and everyone else that has to fight this miserable disease.